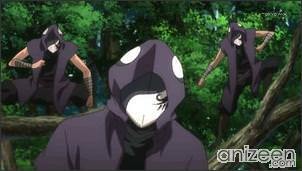 Saizou is an Iga Ninja in search of his life’s path, he seems like a care free person, but deep inside he is a real warrior. One day he is sleeping next to the road when he hears someone coming. Quickly he takes a defensive position, just to see a young woman being pursued. He doesn’t want to get involved and tries to part ways. Unfortunately for him, he is already surrounded. Saizou makes a couple of moves and ends up saving the girl named Izanami. She is escaping after her shrine was destroyed last night. 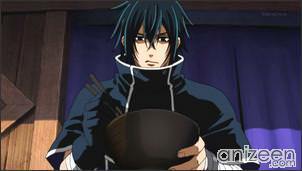 She was told to go and find Yukimura Sanada, he should help her. Saizou doesn’t want to get involved in her issues, but ends up taking her near Yukimura’s castle. But once again, he is surrounded and starts fighting once again. Finally, Izanami is able to see the lord at the castle. 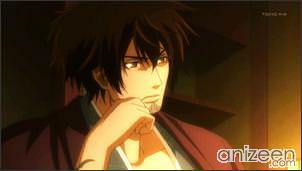 Yukimura listens to her story, but also tells her that he won’t engage in any vengeance for her. Even Saizou feels confused that a lord like this won’t commit to help. 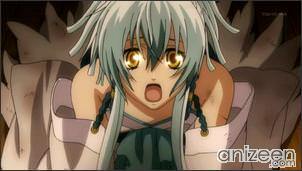 Saizou parts ways with Izanami, but after a while he finds out that she is right behind him. Izanami thinks she has no place to go and asks him to be with her. Saizou tells her that she doesn’t understand what kind of man he really is and that he really doesn’t care if she is hurt or not. 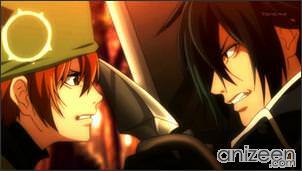 At that moment, new enemies appear and attack Saizou and Izanami. 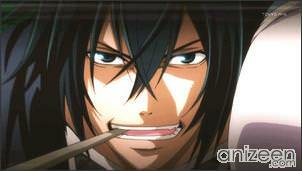 Meanwhile, Yukimura appears and tells them that they were used as bait to lure the enemies out. Saizou gets really mad and starts attacking. Izanami is depressed and starts wondering why this is happening. Suddenly, she loses consciousness and a strange power surrounds her and starts destroying everything around her. When she comes back, she thinks that Saizou has saved her again. 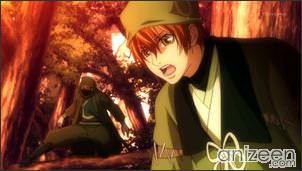 Now, Yukimura tells them that they will have shelter and protection. Even Saizou ends up living in the castle, no matter if he can’t stand serving a lord or not. 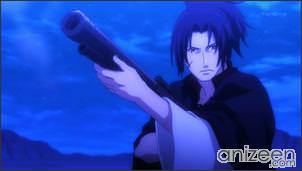 Saizou Kirigakure is an Iga Ninja known by the name of Marishi-ten, He makes his living as an assassin. Though he possesses masterful skill, he distrusts the loyalty relationship between lord and vassal, so he doesn’t serve any lord. 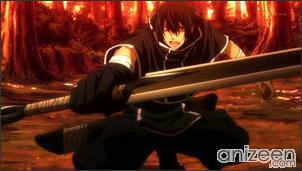 His weapons are a large kunai called “Mari-Blade” and a smaller kunai. He also hates Koga ninja. 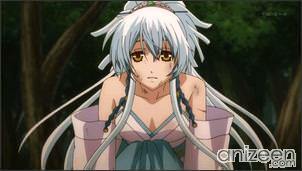 Isanami is an Izumo Priestess. She was found beneath the tori of Izumo Grand Shrine and raised by the head priest there. Her temple was massacred and so she escaped and ended up being saved by Saizo. After that she decides to follow him. She’s a big eater, and her favorite foods are soba noodles and sweets. She seems to have taken a liking to Saizo, after he saved her and even asks Yukimura to let him stay with them, much to Saizo’s dismay. Brave 10 (ブレイブ・テン) is a manga series by Kairi Shimotsuki, serialized in Media Factory’s Comic Flapper from 2007 to 2010. 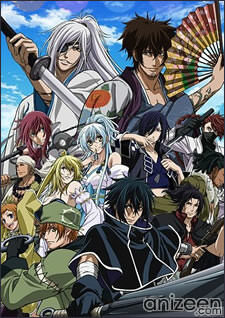 The series was resumed on June 15, 2011 and retitled Brave 10 S, serialized in Monthly Comic Gene. 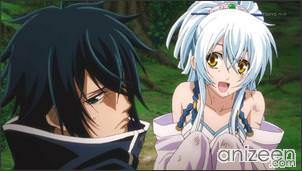 An anime adaption by Studio Sakimakura and TMS Entertainment began airing on January 8, 2012.